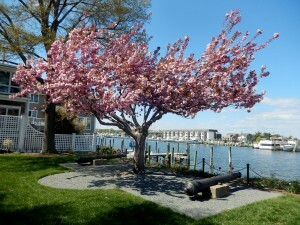 Simple pleasures, enjoying the moment, strolling Historic Lewes, Delaware…it is in Bloom! Each DE Beach has its own personality. 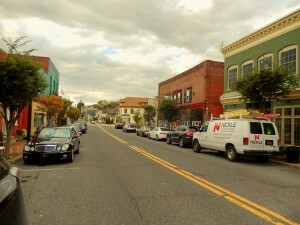 Lewes Historic District is full of shops, restaurants….also, some of the oldest homes in the state. Afterall, Lewes is the First Town in the First State. 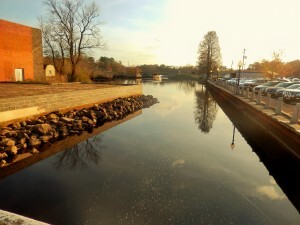 Lewes is a gem…a town well treasured by its residents, and long-time visitors, as well. 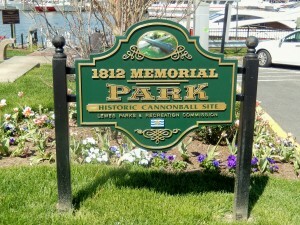 On Front Street you will find the 1812 Memorial Park. On April 6 through April 8, 1813 Lewes sustained heavy cannon fire from the British ships, and was bombarded by Congreve rockets, the first use of this technology against the Americans. Not knowing was Congreve rockets were…I was curious. These rockets were developed by Sir William Congreve in 1804. He registered 2 patents, and published 3 books on rocketry. It is a long story, but one interesting tidbit is the fact that: It was the use of ship launched Congreve rockets by the British in the bombardment of Fort McHenry in the U.S. in 1814 that inspired the fifth line of the first verse of the United States’ National Anthem, “The Star-Spangled Banner”: “and the rockets’ red glare, the bombs bursting in air”. 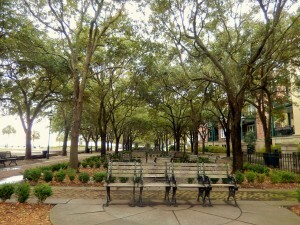 Along with the 1812 Memorial Park, on Front Street, you will find the City Dock. 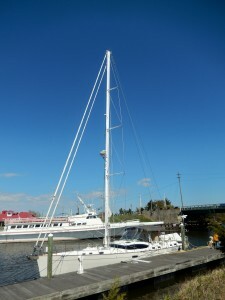 200 feet long along Front Street, it can accommodate small and large vessels. 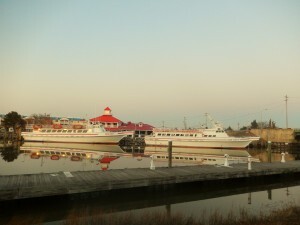 For boat slip info., please call 302-644-9069. 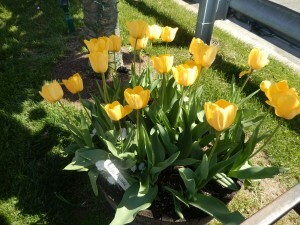 I remember posting a few weeks ago that the tulips in Historic Lewes had a mind of their own….well, with the Tulip Festival over, the tulips are now in bloom. 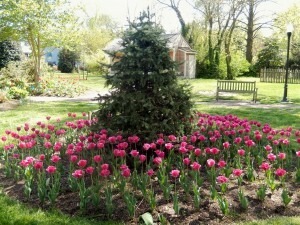 You can enjoy them throughout Lewes. Fridays, Saturdays, Sundays – Life in Lewes – A 90 minute walking tour of the Historic Town, sponsored by the Lewes Historical Society. It starts at 2 p.m. at the Ryves Holt House located at Second and Mulberry Streets. $10, free for members, students and children under 12. More info? Please call 302-645-7670. Website? 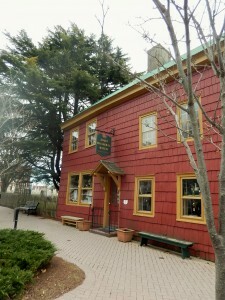 http://www.historiclewes.org. Friday, May 1st – Laff Yoga – Don’t you love to laugh? Out loud? Well, you can do just that by attenting Laff Yoga at the Lewes Library every Friday morning from 8:30 a.m. until 9:30 a.m. This is a free weekly event, unless the Library is closed. Everyone is welcome. Laughter is the best medicine!! Laff Yoga is led by certified Laugher Yoga leader, Michele Buckler. More info? Please visit http://www.laffyoga.com. 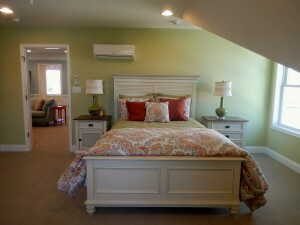 Or, call 302-645-0576. 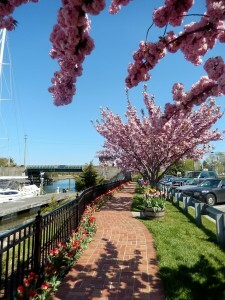 Friday, May 1st through Sunday, May 3rd – Lewes’ Merchants’ Spring Sidewalk Sale, from 10 a.m. until 5 p.m. I don’t I have to give you too much explanation….just bring your wallet and get ready for some great bargains. Saturday, May 2nd through May 26th – “Terra Incognita” at Peninsula Gallery Fine Art and Framing located at 520 E. Savannah Rd. A series of atmospheric landscapes in pastel and oil by gallery artist John Davis Held. The gallery is open Tuesday through Saturday from 10 a.m. until 5 p.m. and on Sunday from 11 a.m. until 3 p.m. More info? 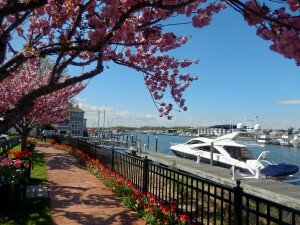 Please call 302-645-0551 or visit http://www.peninsula-gallery.com. 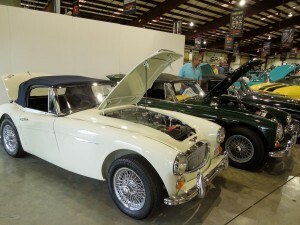 Saturday, May 2nd – 20th Annual British Motorcar Show from 11 a.m. until 3 p.m. Once again, Lewes welcomes this very well attended event, when a wide array of classic British vehicles make their appearance at Lewes Historical Society Complex located at Third and Shipcarpenter Streets. The Lewes Chamber of Commerce is sponsoring this event along with The British Car Club of Delaware. General admission ($3, free for children 12 and under) includes ballots on which to vote for the best cars. 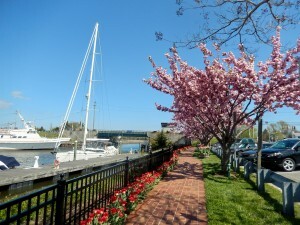 Sunday, May 3rd – Blessing of the Fleet – This is an event held every year on the first Sunday of May. It is a passionate event that allows everyone to bless watermen and to honor those who have passed away in the past year. 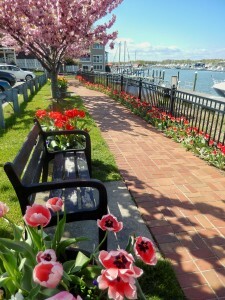 It takes place at Fisherman’s Wharf overlooking the Historical Lewes Rehoboth Canal on 7 Anglers Rd. Website? 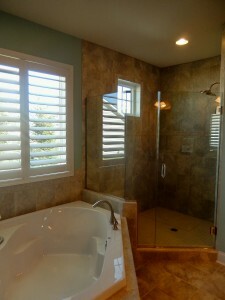 http://www.thewharflewes.com. 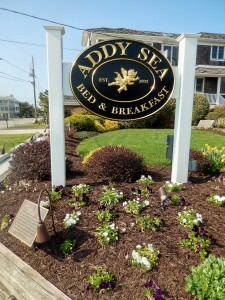 B & Bs are found in all sates, from modest cottages to opulent mansions…the Addy Sea is located at 99 Ocean View Parkway in Bethany Beach, Delaware. Tel. 302-539-3707. Website? http://www.addysea.com. 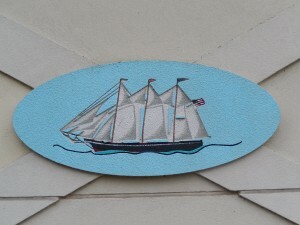 The Addy Sea was the 4th of 5 houses built by John M. Addy from Pittsburgh, PA. 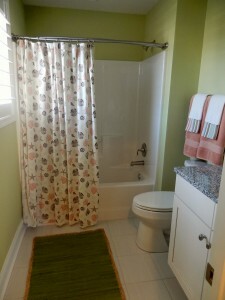 It was one of the first homes to have indoor plumbing in Bethany. Circa 1902. In 1935, it was turned into a guest house. 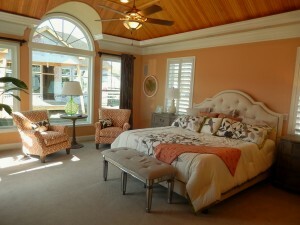 At the present time, it operates as an adult B & B. 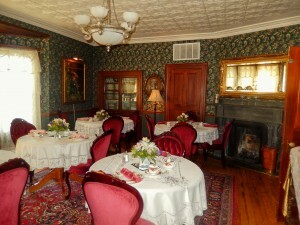 It is a venue for weddings and other celebrations. 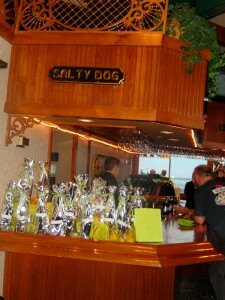 They have their own catering service, as well. Already, reservations for 2016 weddings are taking place for the months of May, June, September, and October. 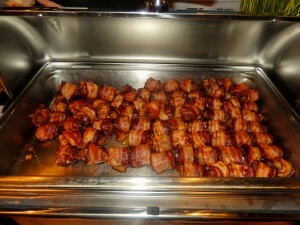 So, if you like what you see on this post and are planning an event, give them a call. 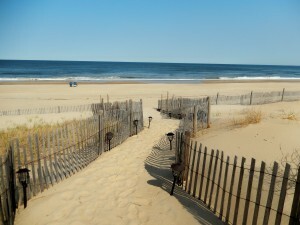 Up and down the Delaware Beaches you will find a beach that will suit you and your family. 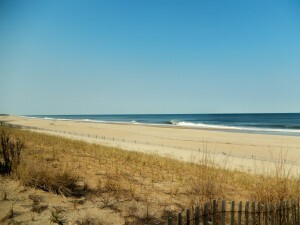 Having have lived in Bethany Beach for many years, the beaches here are wide and so unobstructed. Some get a little crowded at the height of the season and others, just like this one at the Addy Sea’s edge, is the perfect place to park yourselves. 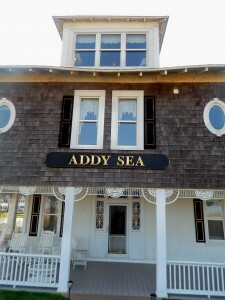 The Addy Sea has a Victorian exterior with cedar shingles and trimmed lacy gingerbread. 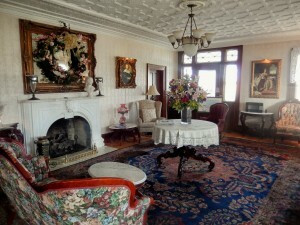 Indoors, 13 guestrooms, Victorian, as well. 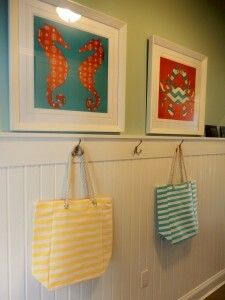 Love the wrap aound porch at the Addy Sea. 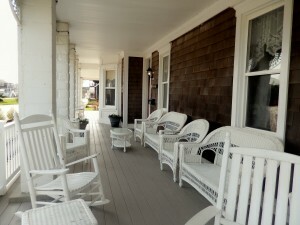 Rocking on those rocking chairs, reading a book, having a drink….enjoying one gorgeous day at the beach. 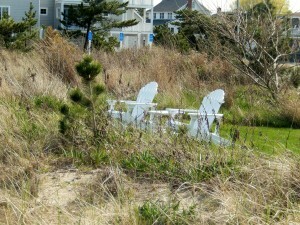 The Delaware Beaches are getting ready for the season. Coming to the beach, leaving the city behind. Casual attire, sand between your toes….you know what I mean. 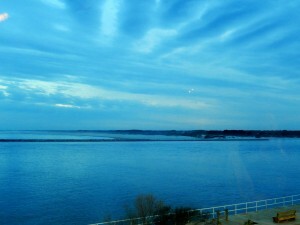 I live here, love it, and do not take it for granted!! 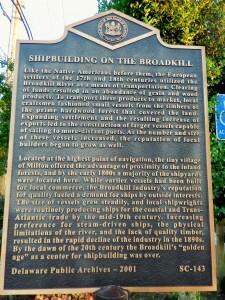 Milton, Delaware, is located on the Broadkill River and many years ago it was a very important shipbuilding community. The river runs through this town. The European settlers of the 17th and 18 centuries used this river as a means of transportation. Many shipyards were eventually located in Milton. Vaudeville was one of the most popular types of entertainment in North America from 1880’s until the early 1930’s. The performances were separate, unrelated acts grouped together on a common bill. 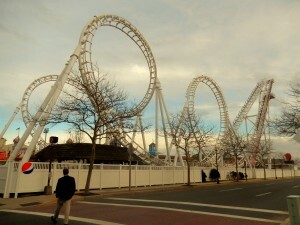 It came to be called “the heart of American show business”. 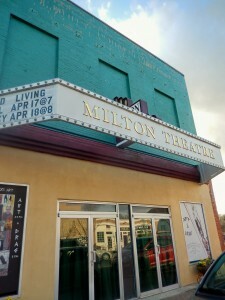 The Milton Theatre is located in Downtown Historic Milton, at 110 Union St. 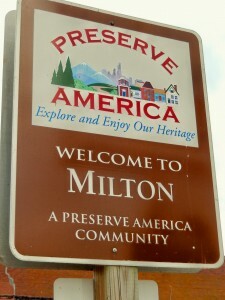 It was built in 1910 and it is listed on the National Register of Historic Places in Milton. In the 1930’s it was this community’s art deco movie house, featuring silent films, and the “talkies”. I first “discovered” this theatre in 2010. Today, I think it is a beautiful gem. It is the home of the Premiere Centre for The Arts. Website? http://www.pcade.com Telephone? 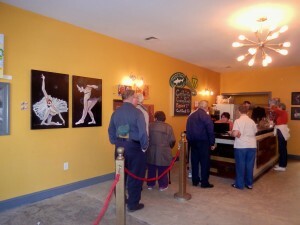 302-684-3038 Milton has a fast growing arts community. The Premiere Centre for The Arts is bringing live theatre, films, comedy nights, summer arts camp, Broadway Baret Night…they are busy in Milton and just as busy in Middletown, at 27 Anderson St., Tel. 302-378-1384. Please make sure to check the website for the schedule of events. 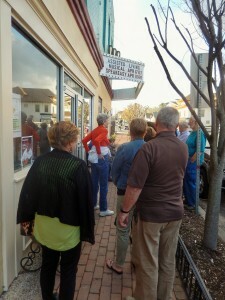 Jody and I arrived last Friday to see the production of Assisted Living: The Musical…How The Older Half Lives! It was so funny and…a full house in attendance!! Wednesday, 4/23 – Damnation, a film odyssey across America explores the sea change…. 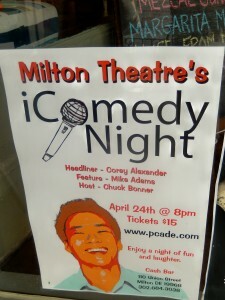 Friday, 4/24 – Comedy Night with Corey Alexander, Mike Adams, and Chuck Bonner at 8 p.m. Tickets are $15. Enjoy a night of fun and laughter. There will be a Cash Bar. 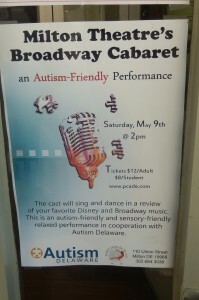 Saturday, 5/9 – Milton Theatre’s Broadway Cabaret, an Autism Friendly Performance at 2 p.m. The cast will sing and dance in a review of your favorite Disney and Broadway music. 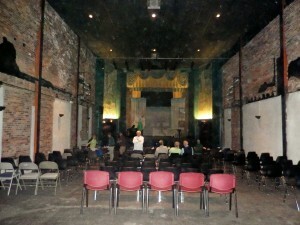 Please remember that The Milton Theatre can be rented for parties, including character parties, and other events, as well. Have a good one!! Talk to you later. Destination? Dixie Supply Bakery & Cafe, Historic Charleston, South Carolina, Charleston Grits, Sweet Potato Corn Bread…One More Bite!! Love starting Sunday mornings with a proper breakfast: A couple of bowls of confidence with a side dish of Charleston Grits; creamy and stone ground, accompanied with sweet potato corn bread. This tasting left me wanting some more, except it will have to be another time. Looking forward to Fried Chicken & Waffles and, apparently, their Heirloom Tomato Pie is out of this world. Arrive casual, that’s the kind of place it is. Plenty of smiles letting me know that Southern Hospital is taken seriously. Breakfast is that meal that is a big deal…love it, and enjoy it!! Once you have it you won’t be that hungry at lunch. 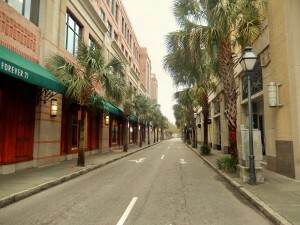 Their menu looked great….you might have to walk Historic Charleston a few times afterwards, though. 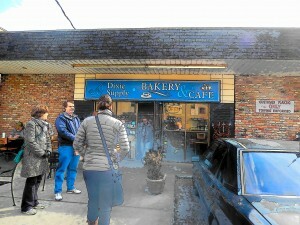 Their cuisine comes from generations of family recipes. 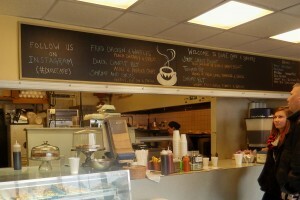 Local seasonal produce is used and also almost everything is made from scratch. Or, take a seat….that bench looks so good. Relax and enjoy the moment!! Magical Sundays!! Comments Off on Destination? 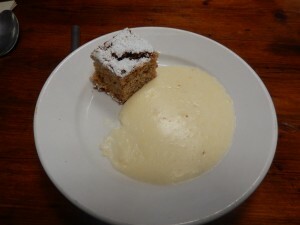 Dixie Supply Bakery & Cafe, Historic Charleston, South Carolina, Charleston Grits, Sweet Potato Corn Bread…One More Bite!! Rehoboth Beach, Delaware is a vibrant community, offering its visitors and residents gorgeous beaches, an award-winning Boardwalk, where plenty of memories are made each year. 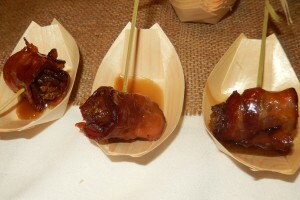 It is a foodies destination…from the Boardwalk grub to restaurants whose unique chefs are bringing us more innovative cooking than ever before. 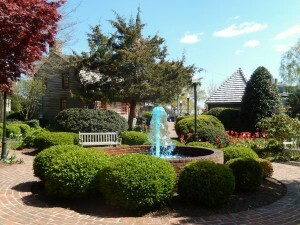 Downtown Rehoboth Beach is one square mile….tax free shopping, theatre, and low property taxes. It is also known as The Nation’s Summer Capital. Living at the beach…I love it and do not take it for granted. 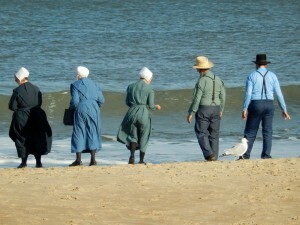 Rehoboth Beach has evolved over the years. 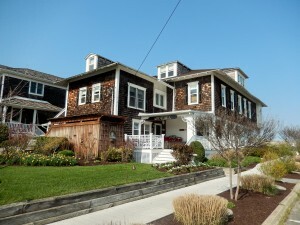 If you love vacationing here…stop by the Rehoboth Beach Museum, which is also the home of the Rehoboth Beach Historical Society. 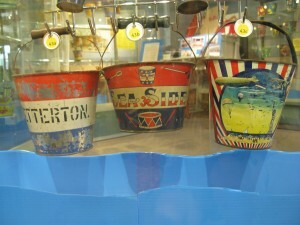 Its mission is to preserve and showcase artifacts that illustrate the development of this coastal beach town. 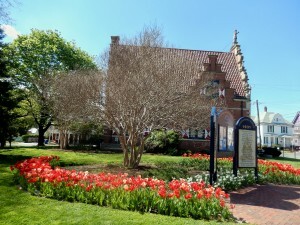 The Rehoboth Beach Museum is located at 511 Rehoboth Avenue near the traffic Circle and the Chamber of Commerce Visitor Center. Tel. 302-227-7310 Website? 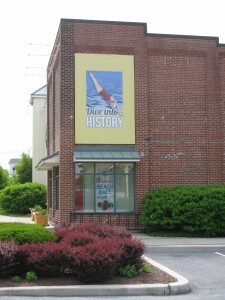 http://www.rehobothbeachmuseum.org. 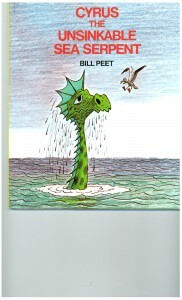 Sunday, April 19th – Children ages 5 to 8 are invited to join the Rehoboth Beach Museum from 2 p.m. until 2:45 p.m. to learn about Sea Folklore and create a friendly sea creature out of inexpensive materials. Please call 302-227-7310 to save a spot for your little seafarer. 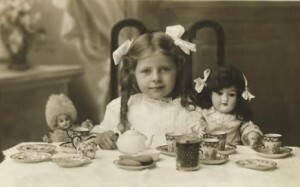 Saturday, May 2nd – My Doll and Me Tea party for girls 6-12 years of age. Young ladies are invited for an afternoon to share with others their favorite dolls on Saturday, May 2nd, from 2 p.m. until 4 p.m. Ice tea, lemonade and sweet treats will be served. 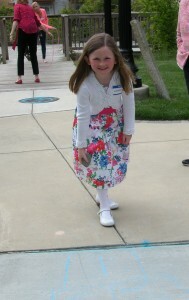 Girls will play and learn old-fashioned games such as hop scotch, marbles, cat’s cradle and hula hoop. Each girl will be invited to tell a special story about her doll. Girls are encouraged to dress up and to dress their dolls in their best outfits. 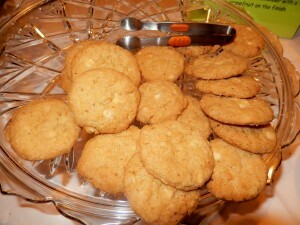 The cost of the tea party is $10 and includes admission to the museum, refreshments and games. The event is limited to 15 girls with one doll each. 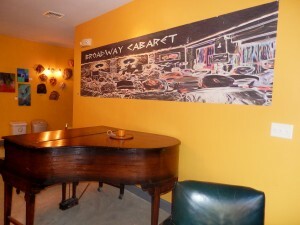 Please call 302-227-7310 to make a reservation. I was one of those girls that played with dolls all the time. I loved them. 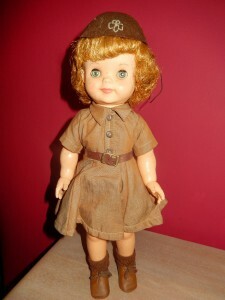 Here is my own Brownie Doll, circa….I don’t remember. 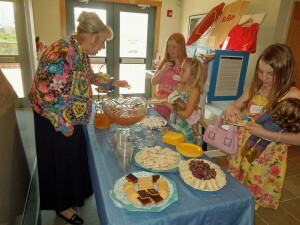 I had the opportunity to help out on one of the tea parties…so much fun!! 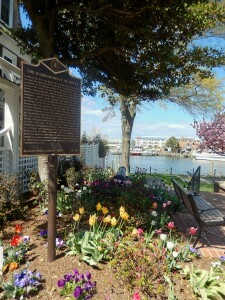 Thursday, May 7th – Join the Rehoboth Beach Museum for an evening of great memories at 7 p.m.. They will be pulling some photos out of their collection, featuring folks who are not identified. Help them identify who is on those photos. Bring along a few of your own and get help finding out just who is featured in your family pictures. Reservations are required. Please call 302-227-7310. 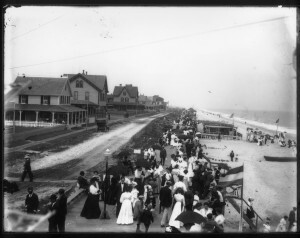 Saturday, May 23rd – Opening of the new exhibit that celebrates who made Rehoboth Beach great!! 11 a.m. Check this out!!! The Rehoboth Beach Museum has partnered with Discover Bank and the local Boy and Girls Club to help build futures one Lego piece at a time. Dicscover Bank provided funds so that Rehoboth Beach local, Lydia Hastings, graduate of the University of Maryland Civil Engineering program, could create a great environment for future engineers to learn about Lego NXT Mindstorm Robotics. The Museum seeks to link the kinds of engineering tasks that it took to cut, move and store ice in the old ice house, which the museum now occupies, with today’s engineering tasks completed by robot. Recently, Lydia held a Lego Robotics course at the Boys and Girls Club of America Epworth United Methodist Church location, and it was a resounding success. The first class learned about the different Lego robotic sensors and even how to program their robots to accomplish different tasks. They had a ton of fun!! Next one will be in May….stay tuned. Hope you have a great week-end TGIF!! At the Beach? Hope so. Destination? A Taste of Finer Things, Fundraising Event, Live Entertainment, Coastal Hospice at the Ocean, Harrison’s Harbor Watch, Ocean City, Maryland, The Paring of Fine Foods & Fine Wine for a Cause!! With that in mind I headed south from Rehoboth Beach, Delaware, to meet my friends, Cindi and Ross, for a night of fundraising in Ocean City, Maryland. It is so interesting to see this town at this time of the year. It is so quiet, but not for long. 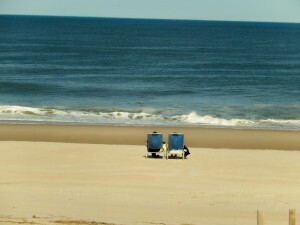 Beachgoers will be here soon enough and they will be creating their memories at the beach. 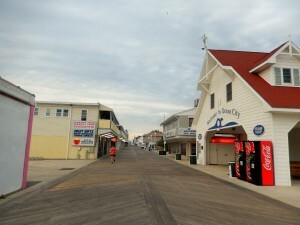 This most southern part of Downtown Ocean City is where Trimper Rides is located. It was just featured in Strange Inheritances. 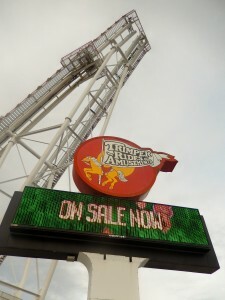 Trimper Rides is a family owned and operated business located in prime real estate in O.C. Not to see the lights and the laughing and screaming visitors is a sight to be seen. For a few years…I will call them, the movers and shakers in Ocean City, Maryland, have been diligently fundraising for a much needed hospice facility in the area. Together they are building the funds in order for construction to begin. They need $5,000,000. Already they have $3,000,000 thanks to the generosity of all in the communities. 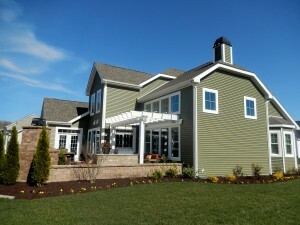 “Hospice patients most often choose to remain at home. However, a growing number find that at the end of life they are unable to manage alone or need more than a frail spouse can provide. 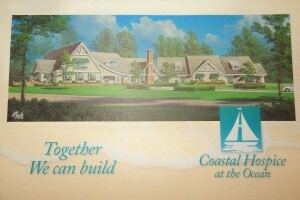 Suddenly, home is no longer the safest place to receive hospice care.” Coastal Hospice at the Ocean will serve the Lower Shore region. 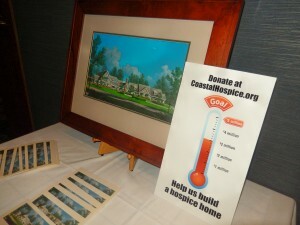 For more information, please visit http://www.coastalhospice.org. 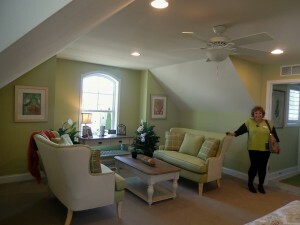 Or, please call Maureen McNeill, the Director of Development at 410-641-5481. Unreal to see the award winning Boardwalk this quiet!! Inside Harrison’s Harbor Watch the mood was anything but quiet. 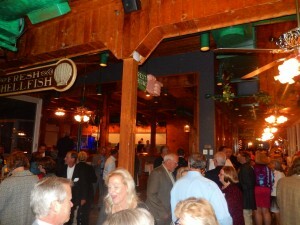 It was a festive event with about 225 in attendance. 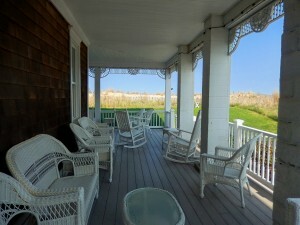 Harrison’s Habor Watch is located at 806 S. Atlantic Ave., overlooking the Inlet and Assateague Island. 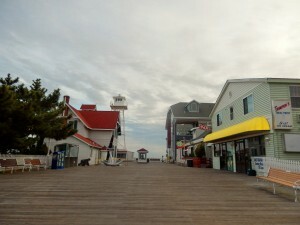 This is the southern end of the Boardwalk. Having fun while raising funds…the main focus of the evening. Blindly choosing a bottle of wine…$20. Raffles! 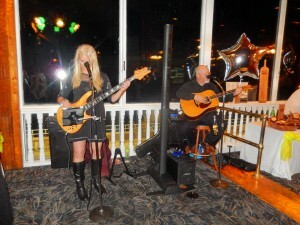 The live entertainment was by Lauren Glick and Mike Armstrong. 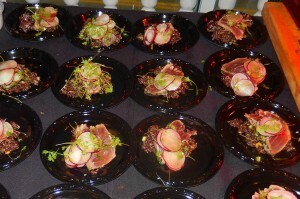 Seventeen of Ocean City’s restaurants brought their “A” dishes to this event. 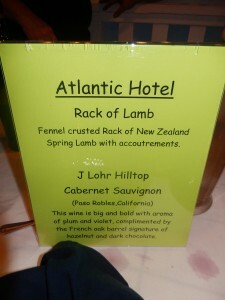 Each station was paired with a unique wine complementing the food. 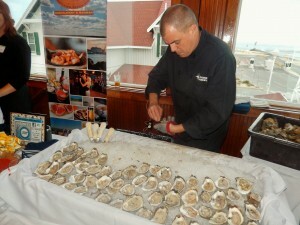 Oysters to start with were from Harrison’s Harbor Watch. Plump, salty and cold!! 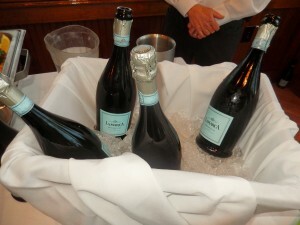 We are by the water so having them to start our evening was a no brainer. 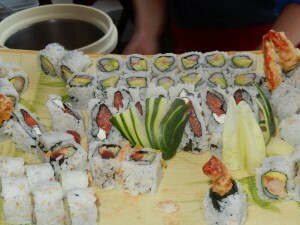 Sushi from OC Wasabi. This was a popular station, to say the least. 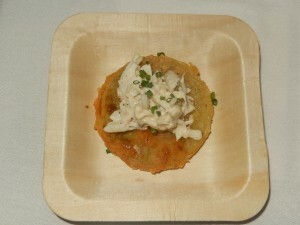 My love affair with Fried Green Tomatoes continues. 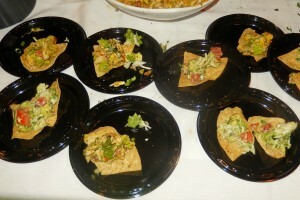 Having these ones from Sunset Grille, topped with Crab Remoulade, well, what can I say….awesome!! 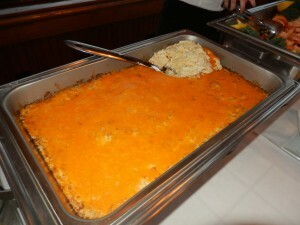 They had just brought out the warm crab dip from Crabs to Go…paired with a light Prosecco. 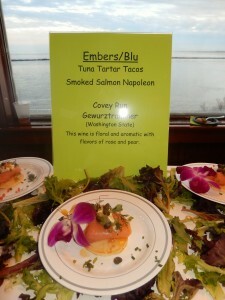 One of my favorite tapas of the evening….Embers/Blu Tuna Tartare Tacos, and, Smoked Salmon Napoleon. 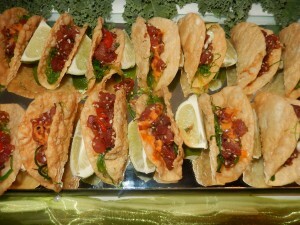 The tuna, the lime, the cilantro and the presentation…great. 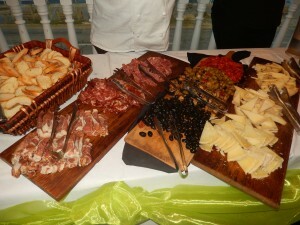 Touch of Italy has been in Ocean City for the past year. Love that they always take their time to teach their customers about what they offer. 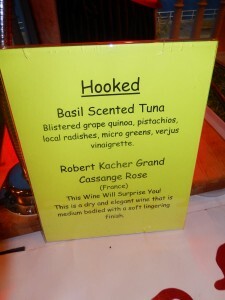 Hooked offered a terrific combination of Basil Scented Tuna. Barn 34…what a great job!! Two complete different offerings. The stuffed dates…the combination of salt and sweetness. Never fails. Can’t wait to have them again. 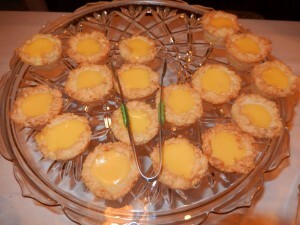 The shrimp stuffed with cheese were also awesome!! Spring Lamb from the Atlantic Hotel in Berlin. 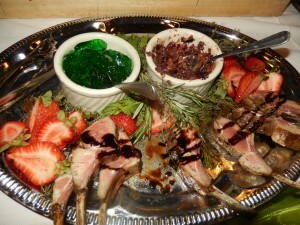 I like mint sauce vs. mint jelly, though. Very good indeed. I usually do not eat eggs for breakfast, but deviled eggs are a different thing altogether. 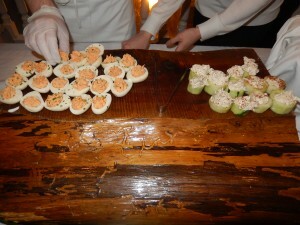 These were Smoked Salmon Deviled Eggs!! 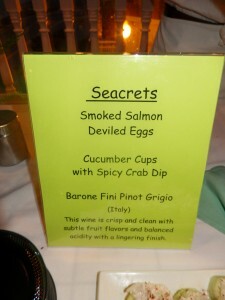 The Cucumber Cups with Spicy Crab Dip….can’t wait for summer. 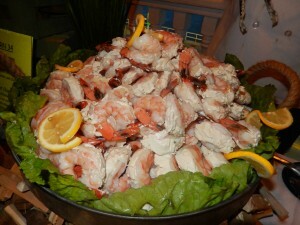 This was presented by Seacrets! 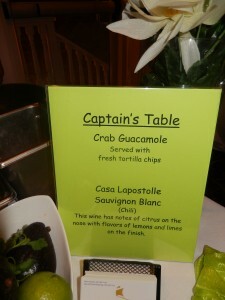 My last tasting was of Crab Guacamole served with Fresh Tortilla Chips from the Captain’s Table. 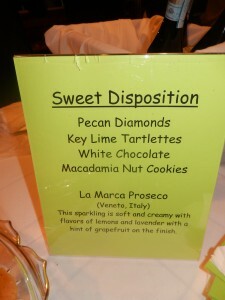 Sweet Dispositions offered: Pecan Diamonds, Key Lime Tartlettes, and White Chocolate, Macademia Nut Cookies!! 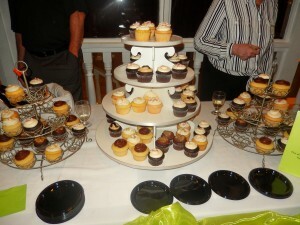 Desserts by Rita had assorted Cupcakes!! 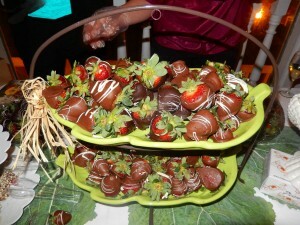 Wockenfuss Candies….Now, take a look at the elegant Chocolate Covered Strawberries!! Tasting, sipping continued for a few hours. It was a total success!! 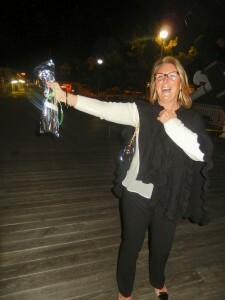 Cindi, Ross, and I decided that it was time to hit the road…..but not before Cindi showed us that Wine is a Girl’s best friend!! 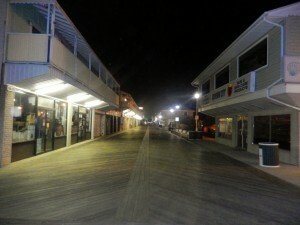 Note: It was about 9:30 p.m….look at the Boardwalk!! Not one person. Comments Off on Destination? 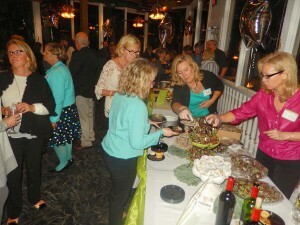 A Taste of Finer Things, Fundraising Event, Live Entertainment, Coastal Hospice at the Ocean, Harrison’s Harbor Watch, Ocean City, Maryland, The Paring of Fine Foods & Fine Wine for a Cause!! I never miss an opportunity to see real estate. 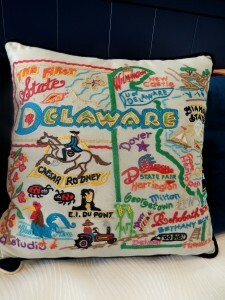 I guess that went with the territory for many years…my late husband, John, was a Broker and owner of his own real estate company in Bethany Beach. So, when my neighbor, Chris, asked me to go check Sawgrass North I jumped in her car ready to go. 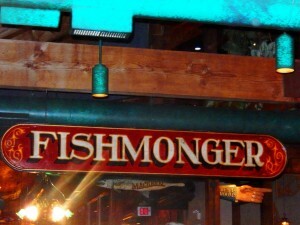 Sawgrass North is located at 35546 Betsy Ross Blvd., on Old Landing Rd. 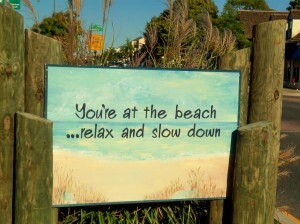 in Rehoboth Beach, Delaware. 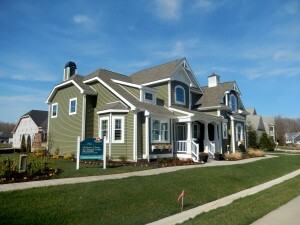 Sawgrass North is a Schell Brothers community. 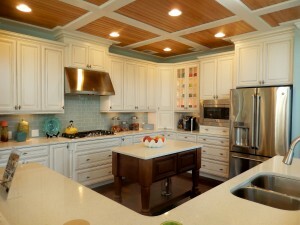 It is private, gated, and just by Rehoboth Bay. 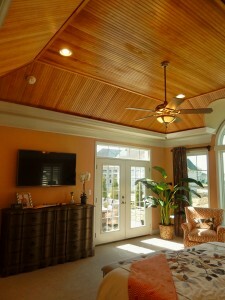 It has a clubhouse, pool, fitness, tennis and basketball courts. 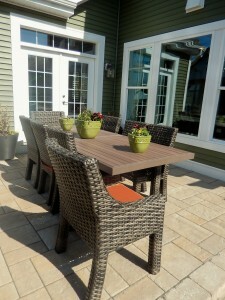 And….lawn maintenance is included. 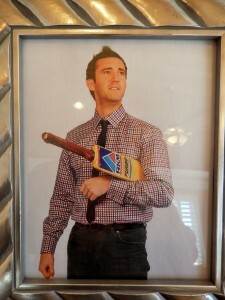 Meet Adam Pettengell….He is the Community Sales Manager at Sawgrass North. Cel. 302-228-2719. Website? http://www.schellbrothers.com Email: adam@schellbrothers.com. His personality comes through as friendly, knowledgeable about real estate and what he is selling…and most of all a good sense of humor. 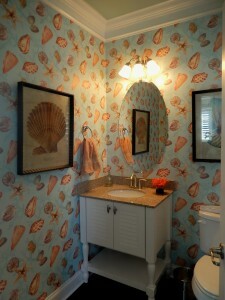 Even though I could have taken his photo on site, I decided to use the portrait of Adam in the Master Bedroom. With that kind of personality, he can sell anything. 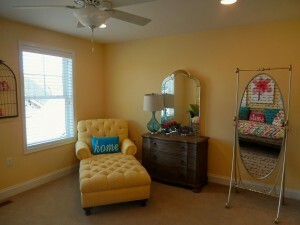 This 3,300 sq.ft. 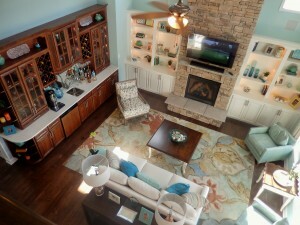 model home was already sold, completely decorated. Schell Brothers has an in-house designer. The house has beautiful colors. 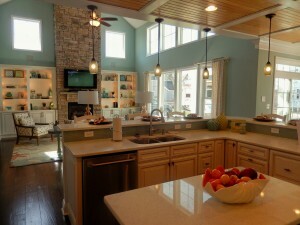 The people that are moving to Sawgrass North are those that are completely new to the Delaware Beaches, and also those that are downsizing…so tired of the up-keep of a much larger home. They want more time to play and less time to spend working on the home. 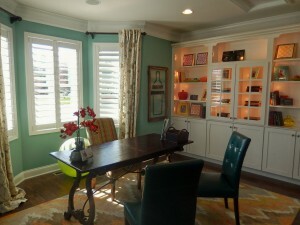 If you do want to do some business from home, this area is perfect!! 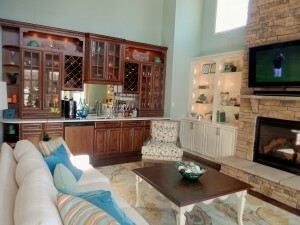 The Kitchen is very open and conducive to entertainment. The Living Room is spacious. Two views; from the first floor and from the loft area on the second floor. 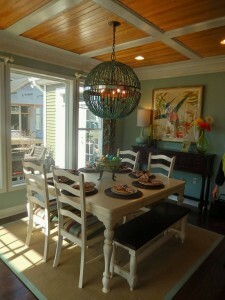 If you would like to dine indoors…love the table and the finished look. Otherwise, outdoors on a beautiful day is the way to go. 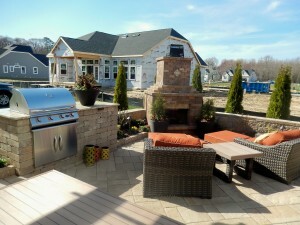 Outdoor entertainment!! 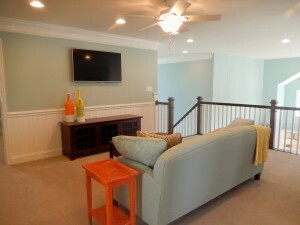 Upstairs, there are 3 bedrooms and 2 baths. 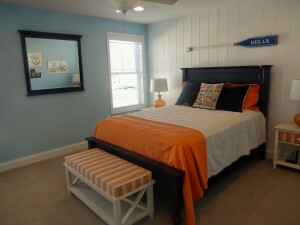 They are beautifully decorated, reminding us that we are at the beach and fresh colors set the moods. 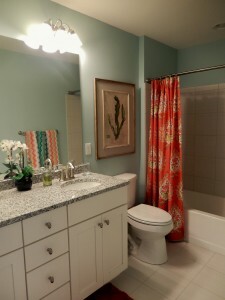 Bathrooms are comfortable and laundry room has everything needed. Stop by and say hello to Adam….he really is so nice!! I have forgotten how gorgeous this hole is. 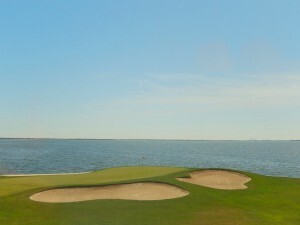 It is a Par-3 Signature 19th Hole. Sunday was one of those days in the Delmarva Peninsula that took your breath away. 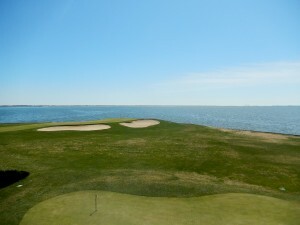 Rehoboth Beach Golf & Country Club is located at 221 West Side Drive in Rehoboth Beach, Delaware. This club was established in 1925. 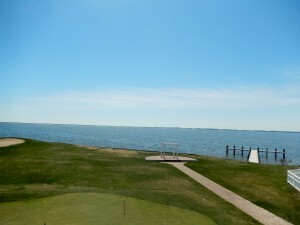 One hundred fifty acres of waterfront property….on Rehoboth Bay. 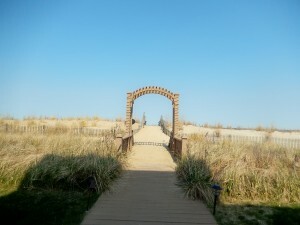 It is a wedding venue for many looking for a unique spot worthy of a celebration. 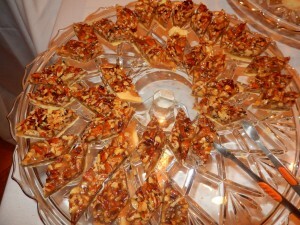 Cheryl Romano is the Banquet Coordinator with many years of experience. You may reach her at 302-227-3811. When photographer Maria DeForrest begins the photogaphy session….the background is breathtaking and the wedding party not too far behind….priceless! !